What I like best about this photo editing app is that most of the filters are designed to make whites and colors that are already there pop, instead of darkening and adding color over top of your photo. I’ve found I usually don’t need to do any tweaking afterward. But if I do want to play with levels and such, there are a lot of tools available. The app is free with a few filters and all the tools, but I went ahead and splurged on the whole filter pack because I live life on the edge. Clearly. 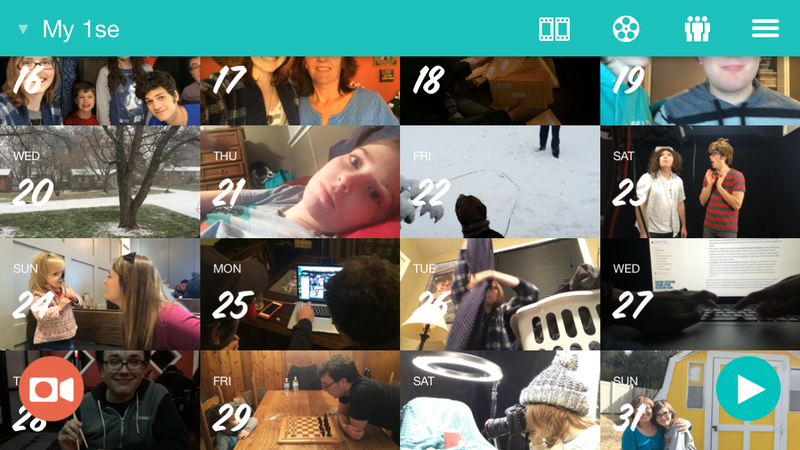 This video app helps you organize and mashes together one second of video you film each day to create a video showcasing your year (or week, or vacation, or whatever length you choose). Obviously, you COULD do a project like this without the app, but this app makes it so easy to choose and cut clips, and it edits your seconds together for you, so I don’t see why you would want to. It’s easily worth the $2.99. I’ve been doing this since November 1st, and it’s been a really cool experience that helps me slow down and focus on the good in every day. I’m excited about seeing the finished project after a year has passed! My favorite part about this free grocery list app is that it syncs between multiple phones, so Josh and I always have the same list no matter who has added items. If one of us is out and decides to run to the store, we don’t have to wrack our brains to remember what is or isn’t in the fridge. Much more efficient than trying to text lists to each other! Also, the option to group items according to aisle and the cross-out feature makes everything so simple when you’re at the store. Neat about the grocery app. I always hand write a list as it is because I am a slow phone typist (very fast at normal typing). I am a Hipstamatic lover. Retro films and lenses that I put on shuffle to see what my phone pictures show up looking like. It was actually the reason why I had originally wanted a smart phone a few years ago. haha. I got a coupon shopping app called ibotta a while back and after a while you can get ten bucks back depending on how well you saved off of your shopping per week. I haven’t used it since I got my ten bucks but really should since. . .free money is nice. haha. I use an app called Skimble for 10-25 minute work outs for free which help me out. They tell you what to do and show you the work outs (the ladies aren’t as modest as I’d hope but I just make sure the boys and man aren’t around when I do the work out since they sometimes are in sports bras).